The Brooklyn modular furniture range is perfect for adding modern style to any bathroom. This high quality high white gloss WC unit is supplied with a dual flush concealed WC cistern. Can be used in conjunction with furniture from the Brooklyn range. 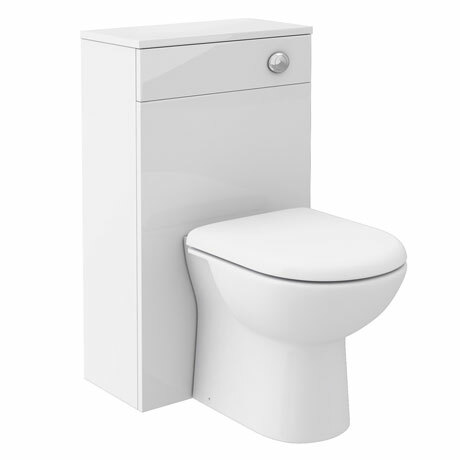 The WC unit has a removable front panel which can be drilled for right or left hand front flush. Nice clean lines my only concern was that the cistern looks and feels as if its not going to last. "Good quality, reasonable price, happy with purchase."